Bibliata.com is one of our ministry websites dedicated to the study of the Bible in the Bulgarian vernacular. In the past years, it has become a web place where approximately 1,000 people come daily to discuss the text of the Bible as well as the critical, historical and social issues connected to it. From the largest evangelical church in Bulgaria, we traveled to five small regional village congregations. The change was the least to say drastic. We left behind the large, two million people metropolis of Sofia and quickly moved East crossing almost the entire country of Bulgaria on its long side. Moving at a fast pace, we arrived to our destination three hours later and began preparing for a day of ministry. The day started about 7 a.m. with prayer. The team assembled around 9:30 a.m. and began the daylong trip. The five churches on our schedule were located in a circle rout with 15-30 minutes of traveling between them. They were much smaller than the Central Church of God congregation, which has close to 1,000 members. Nevertheless, the people received us with the same joy and the services began. We returned from yet another exciting trip to Sofia where we ministered at the Central Church of God with pastor Pavel Ignatov. After a six year building program, the church is now equipped with a new multifunctional center. Although this is not our first service there, we were amazed again how the new building enhances the ministry of the church through its multiple ministry applications. To begin with, the location of the new worship center is close to downtown Sofia. This is important because as the capital of Bulgaria, the city has experienced an escalated growth in the past ten years reaching a population of over two million. The Central Church of God is conveniently located at the very heart of the metropolis as at the same time it is close to the main roads, which can easily lead to the city loop and out of the city. The convenient setting provides for a multitude of ministries. For example, the social center in the new building daily provides lunch for a large number of elderly people whose pensions of a limited amount are not sufficient for all expenses of a life in the big city. The food is delivered to them fresh at the same time every day and is free of charge. The church’s center is also used for a number of conferences and church leadership meetings. Just in the past several weeks along with the regular services, they have completed a revival, Christian Advocates conference, youth rally, ministerial training course, national advisory meetings and a great number of weddings (normal for this time of the year in Bulgaria). The congregation is currently planning a nationwide evangelization meeting for the beginning of November. The service we held at the Central Church of God was encouraging for us. At first, the large auditorium with over 1,000 seats looked a bit empty due to Sofia’s main streets being blocked for a city marathon. Yet, soon after the worship team began, the auditorium filled up as people continued to arrive until the end of the sermon. At the end of the service, we asked the congregation to join us at the altar and pray with us a special prayer for the unity of Bulgarian Pentecostals. The final benediction urged the church that revival must go on, but this would only happened if the people of God stand as one. Our team just returned from Northern Bulgaria where we participated in the national chaplaincy meeting of which we wrote you a few weeks ago. Ten Bulgarian regions with active ministry to the military were represented. Among the participants were people who work with families serving in the air force, army and navy. The major issues discussed were (1) media presentation of the chaplaincy work before the major evangelical denominations in Bulgaria and the secular society, (2) dealing with stress-related issues at the work place, (3) system restructuring to meet the needs of the growing ministry and (4) the mandatory legal affairs currently restricting chaplaincy in Bulgaria. The participants discussed and approved a national agenda for the next six months, which will work on the above problems and provide timely practical solutions. 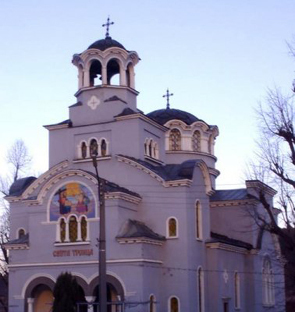 A priority on the list was the presentation of chaplaincy ministry before Bulgarian evangelical denominations, which will take place through a series of media events in the next few weeks. We just returned from Samokov, which is one of the oldest industrial towns in Sofia. Almost 200 years ago the first protestant missionaries to Bulgaria discovered its strategic location and used it as a halfway point between Europe and Asia in their mission trips. Soon a modern American school opened its’ doors and some of the brightest minds of the Bulgarian Renaissance were educated there. We visited with one of the Roma (Gipsy) churches in town and held a Sunday service plus two youth rallies. 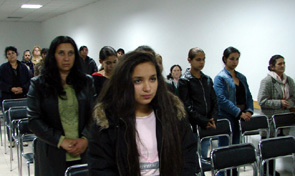 These services were part of our national ministry and support to the Roma people of Bulgaria. Because of its strategic importance in our ministry, the return to Yablanitza has been a long planned event. During a successful pastoral term in 1992-1993, we were able to encourage the church to continue and complete its prolonged building program. Several of our closest friends were also instrumental in preparing the blueprints and sponsoring the building project. As a result a modern ministry complex is now active in the town of Yablanitza as a part of the Bulgarian Church of God ministry there. We returned to Yablanitza for a series of revival services and were able to minister to a good number of people while there. The revisiting with old friends and precious memories were both refreshing and motivating. We are praying to be able to conduct another revival series in the area and to minister in the Yablanitza church in the near future.